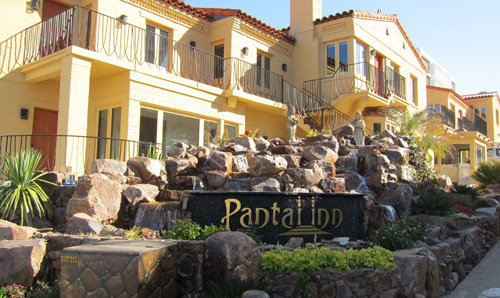 The Pantai Inn just opened in San Diego’s favorite coastal community and is offering travelers great deals on ocean view suites. Pantai Inn Hotel, La Jolla, California will eventually expand to 44 suites, but at the moment – I was there two days ago – only 7 suites are available, and these are being offered at discounted rates as low as $299*** a night including continental breakfast, wi-fi, and free parking. 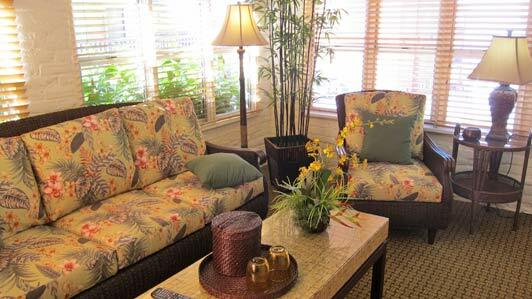 The Pantai Inn has got to be Southern California’s best hotel deal, and it’s great for traveling families because all suites include a full kitchen, a living room, and at least one separate bedroom – right across the street from the ocean. #106 would be best for 3G (three generation) family travel because it offers 3 bedrooms and 2 bathrooms, a balcony (but only a partial ocean view and no fireplace). #208 which has a spacious oceanfront patio, a gas fireplace, an especially nice kitchen, and a wall bed in the living room, plus a separate bedroom. The Pantai Inn, on Coast Boulevard, was originally the Shell Beach Motel – a random collection of studios, cottages, and bungalows built along the La Jolla Coastline between 1900 and 1930. Historical significance kept the property from being razed. 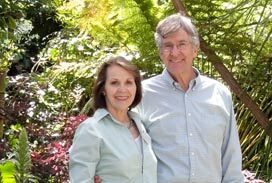 Instead, the new owners have completely re-done the interiors and added every imaginable high-tech gizmo and first-class furnishings, while preserving the property’s original charm. They are also adding Balinese art, artifacts, and furniture which fit right in with the waterfront location. The hotel does not have a restaurant, but is within a block or two of dozens of dining and shopping options. 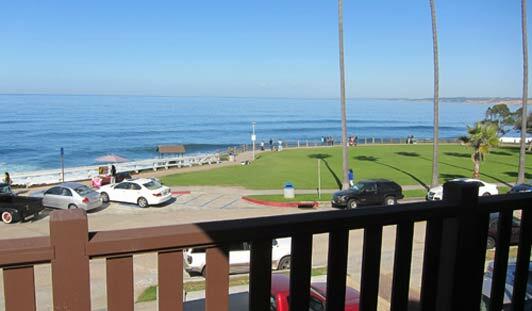 It is also within sight of the Children’s Pool and steps from the La Jolla Cove. Sales & Operation Manager Bernardo Zavala, formerly with La Jolla’s La Valencia and the Four Seasons Aviara, told me they expect to have 11 suites completed by the end of this month. Another 29 will be ready by next summer, with all 44 finished by the end of 2012. The Pantai Inn offers the comforts of home in a stylish setting. La Jolla’s mild climate lures visitors year round – and the savvy ones will take advantage of the discounted rates at the Pantai Inn – while they last. ***February 2013 update on Pantai Inn: General Manager Shane Pappas told me that 11 suites have been completed to date and the rate for these start at $305 (midweek) and $320 (weekends). The cost of the 3 bedroom #106 is $699, #201 is $499 and #208 is $399. These very reasonable winter rates will go up about 25% in mid-May and stay there throughout the summer. Click here if you need help planning a trip to La Jolla. Click here to see more photos of La Jolla. Click here to compare La Jolla hotel rates.